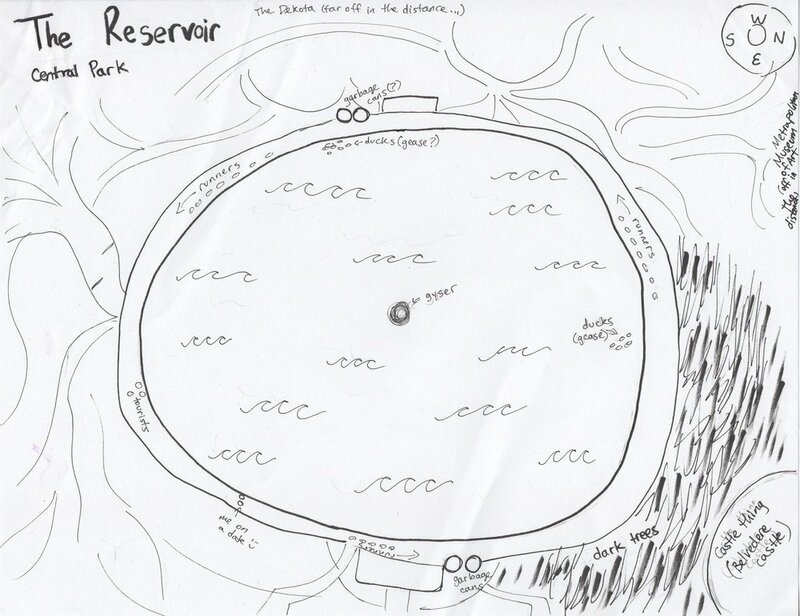 Memory Map: Before going to the site to gather any formal information I sat down and tried to remember what the Reservoir was like in my mind. Site Drawing: While visiting the location I sketched and photographed the site. When I got home I combined the information I gathered to make one drawing. Sensory Map: This is a map of the sounds I heard and recorded while visiting the space.